What Can Hold Up a Tax Refund? You won't need medicine to soothe your stomach if you file your return early. 2. What Causes Delays in the IRS' Approval of Electronic Tax Returns? 3. Does Filing for an Extension on Taxes Flag an Audit? It’s no wonder the 90-day tax refund window promised by the Internal Revenue Service is enough to set off a panic for some on day 91. We’re a nation of impatient individuals: She wants her double mocha cappuccino now, he requires a quick lunch and both crave fast-moving lines and Internet service that surpasses the speed of light. Fact is, there are several reasons your tax refund could be held up -- and not all of them can be blamed on the government. It’s easy to do: One wrong keystroke while filling in the fields to file your federal or state taxes online -- or a slip of the pen that turns Jean into Joan in the eyes of machinery processing tax returns -- may be all it takes to kick your form off the electronic assembly line and onto the desk of an IRS staffer responsible for figuring out why your name and Social Security number don’t synch. 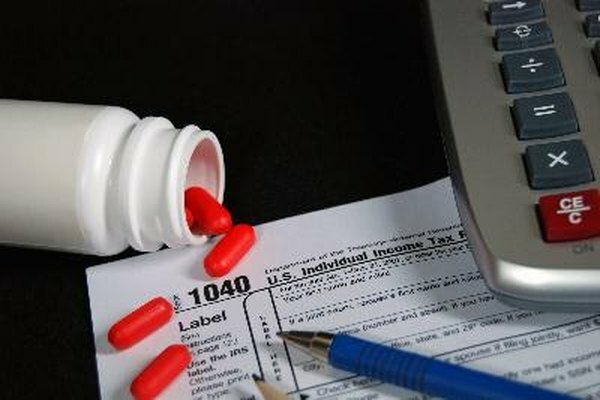 Perhaps you got married, moved or experienced a lifestyle change that results in conflicting data sent to the IRS. There’s a reason you hear the phrase “Always double check your information” so often. Apply due diligence to lessen the chance that your tax refund will be held up because you inadvertently supplied incorrect information. The IRS tries to stay on top of the latest fraud detection and prevention software, and the agency makes frequent improvements to its complex computer systems. Like all machinery, servers can crash on occasion in the same way your PC or Mac goes down from time to time. This type of situation is out of your hands and while it probably gives you no comfort to know that some of the delays in receiving your refund have to do with improving IRS processing systems so your return and identity are safeguarded, you may still wish to give the IRS the benefit of the doubt if your return is held up. According to Jamie May, chief investigator for the security company AllClear ID, one of the reasons people wind up in the predicament of having their tax refunds held up is because they wait so long. Knowing that the IRS is deluged with returns mailed on April 15, savvy scammers swing into action so their falsified returns are buried in the middle of the paperwork flood. Sure, taxpayers who owe the government rather than expecting a refund have a reason to file at the last minute, but if you’re due a refund and your supporting documents have arrived, it makes sense to follow May’s advice to avoid a hold-up: File early. As identity theft reaches epic proportion, the federal government looks for ways stop it fast. Jenn Strathman, reporting for Cleveland’s NBC-TV affiliate, broke news to viewers in May 2012 that Congress was discussing delaying tax refunds until summer to allow more time to weed out suspicious returns. At the time, there were 460,000 cases of identity theft on tax returns and the number remains high. While the conversation never morphed into legislation, it may in time. National Taxpayer Advocate Nina E. Olson agrees that consumers are less likely to be victims if their refunds are held up for purposes of additional security checks, but that doesn’t mean you will be any happier to learn that the government has decided to extend that 90-day window. Turbo Tax; Turbo Tax Support; When Will I Get My Tax Refund? Why is my refund taking more than 21 days? Do Smaller Tax Refunds Come Back Quicker? Can I File an Amended Return After an Audit?